The results of the 2015 Rhode Island legislative session reinforced Gov. Gina Raimondo’s priority on economic development initiatives. The major components of her package of programs and investments were passed and funded. 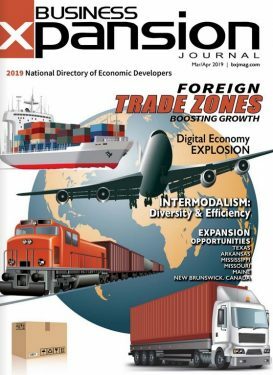 “The economic development tools are aimed at promoting and supporting job growth including new jobs produced by existing companies, and relocated jobs from companies located outside of Rhode Island,” says Stefan Pryor, secretary of commerce. Highlights of the initiatives include the Rebuild Rhode Island Tax Credit, a new Tax Increment Financing program, and an innovation voucher program, which is part of a set of programs to advance innovation in the state. One feature is the development of an innovation campus or corridor in Providence. 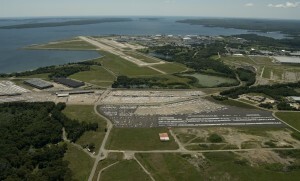 The Quonset Business Park also offers its own tax benefits to tenants, including incentives related to the term of a lease; and returning a percentage of the wages employers pay to their workers in the form of a rent abatement, King notes. A new business service component in Rhode Island is the governor’s Business Navigation Center, which has a website component. The commerce corporation’s staff members, working in partnership with staff from more than 20 state agencies, walk employers through the regulatory process, licensure, and financing in order to meet their goals. “It is especially helpful to have this center with our new incentives,” Pryor says. Quonset’s Port of Davisville is one of the top 10 auto importers in North America and has had five consecutive record breaking years of auto imports. Image: Quonset Development Corp.
Pryor says the recent incentives demonstrate officials in Rhode Island are dedicated to proactively reaching out to businesses in a region (the U.S. Northeast) that has the reputation of being uninviting or uninterested in business, or lethargic in its approach to recruiting or assisting businesses. “We are making it easy to do business and providing more financial reasons to make investments and undertake investments,” Pryor says. Industries calling Quonset Business Park home range from manufacturing to distribution. Warwick’s Mayor Scott Avedisian says positive developments are underway in Warwick, led by initiatives tied to T.F. Green International Airport, which features a multimodal hub. 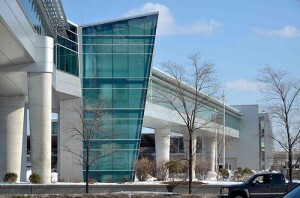 “We have seen the effects of new international travel from T. F. Green, which offers direct flights to Frankfurt, Germany, and the Republic of Cabo Verde.” The airport is attached to the Warwick train station, and part of the train station includes the Rhode Island Transit Authority’s hub for buses. In regard to industry cluster growth, Warwick has drawn the interest of financial, medical, hospitality and tourism companies, and ancillary airport-related services. A high-tech LED traffic sign company moved to Warwick this year in part due to the proximity of the airport. What’s more, AquaMotion Inc., a manufacturer of heating systems, desired a location that offered ease of distribution. “It is easy to ship product when you are in the middle of a transportation hub,” Avedisian says. There is also a need for more hotel rooms in Warwick, which has more hotel rooms than anywhere else in the state but is at 90 percent room occupancy. “So hoteliers are interested in coming here,” Avedisian says. Travel and tourism is one of Rhode Island’s most valued industries, ultimately generating more than $3.88 billion for the state’s economy, according to the www.visitrhodeisland.com website. The state’s universities are economic engines that position it well to support business relocation and expansion. Schools in the state’s higher education system include Brown University, the Rhode Island School of Design, Johnson & Wales University and the University of Rhode Island. A highlight when it comes to building the state’s talent base is the new Wavemaker Fellowship program. The student loan repayment program is available to graduates of Rhode Island’s institutions, as well as non-R.I. institution graduates who are pursuing careers in Rhode Island in STEM-related jobs. Fellows of the program will receive up to $6,000 per year toward payment on their student loan debt, depending on the scenario. “This program makes it even more attractive for talented professionals to seek jobs in Rhode Island, and it gives companies a competitive edge,” Pryor says. 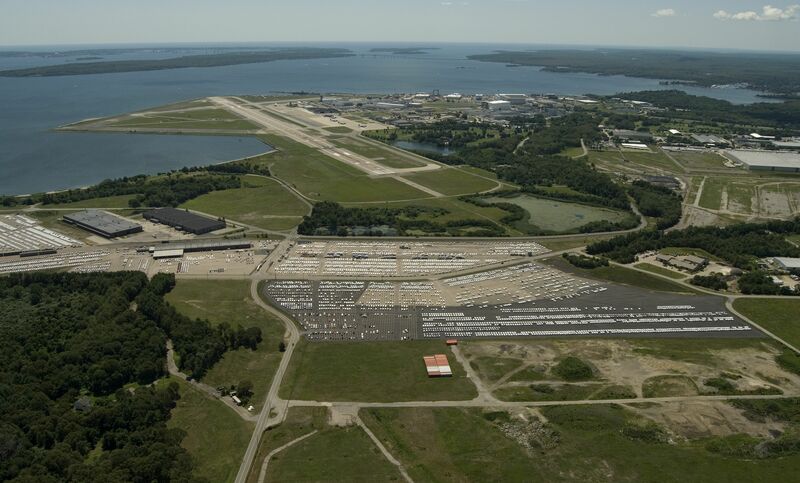 Operating from Quonset Business Park provides a competitive advantage from the beginning. For example, there are 300 acres available for business development, where parcels are pre-permitted, and fully infrastructured. There are 35 available sites, which range in size from two acres to 64 acres. “Currently in the park, with the land that has been leased, we have 343,000 square feet of buildings under construction that range from defense manufacturing to food production to light industrial to indoor recreation to vehicle import processing,” King says. Transportation infrastructure assets include access to the Port of Davisville, the Quonset State Airport, and Interstate 95 and Rhode Island Route 4. 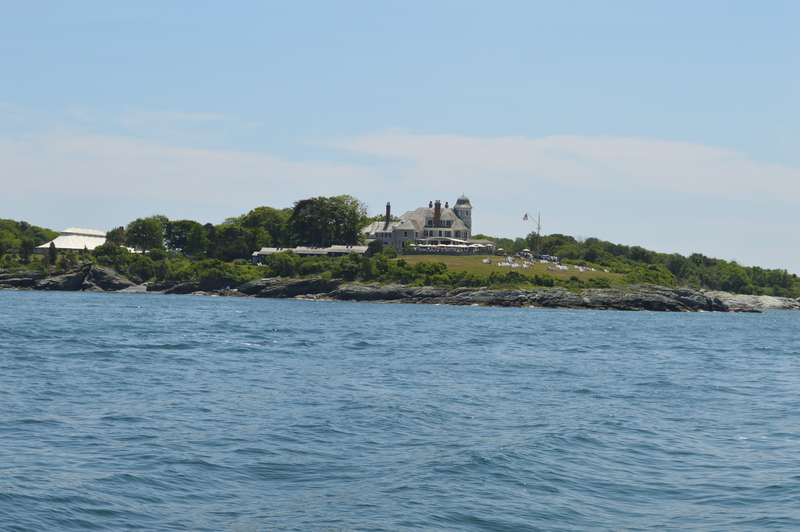 Rhode Island may be small, but it packs a cultural and scenic punch. 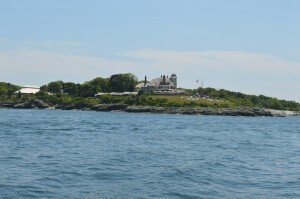 Within Rhode Island’s borders is one of the largest concentrations of historic landmarks in the nation, a vibrant arts and cultural scene, miles of pristine coastline and some of the most acclaimed dining establishments in the country, according to www.visitrhodeisland.com.